Here’s a cute little bunny basket to hold a stash of Easter eggs or candy. A quick and easy little project that appears to take longer than it does. Either let the bunny white, or use any pastel color. Easter bunnies, after all, come in many colors—I know that because I saw them at Walmart! This project, “Bunny Basket,” can be found in the Easter Projects Gallery in the sidebar. 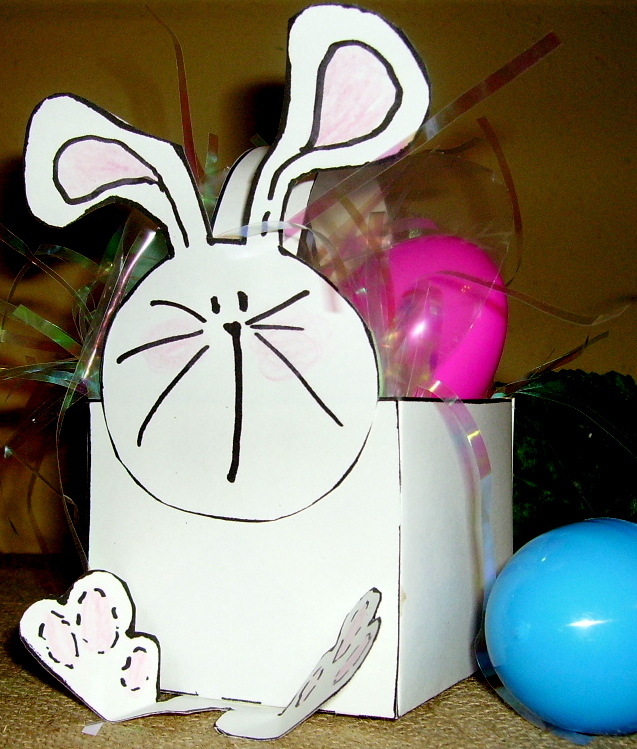 This entry was posted in Easter and tagged bunny basket, bunny easter basket, childrens easter crafts for kids, easter baskets for kids to make, easter bunny baskets, easter projects for kids, paper craft. Bookmark the permalink.